Celebrating eight years in SL, Bloodlines is the largest and the most popular of the vampire RP currently found in SL. 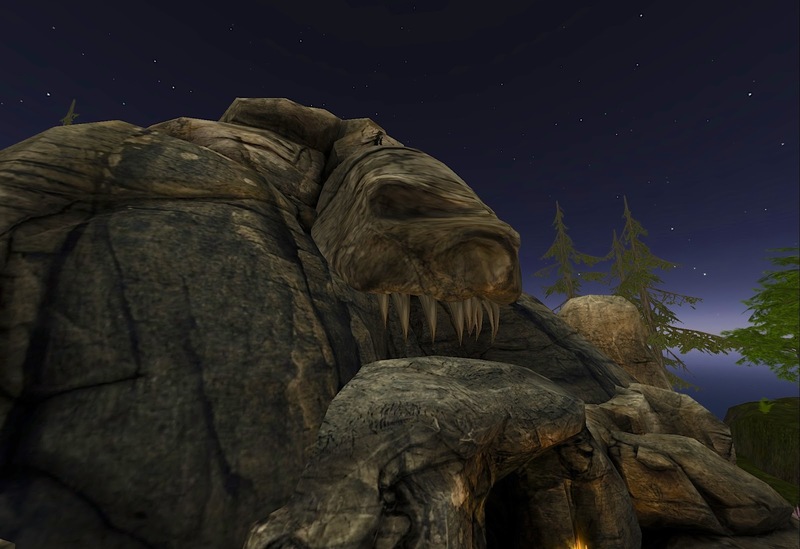 Bloodlines is a MMORPG played completely within the confines of Second Life. 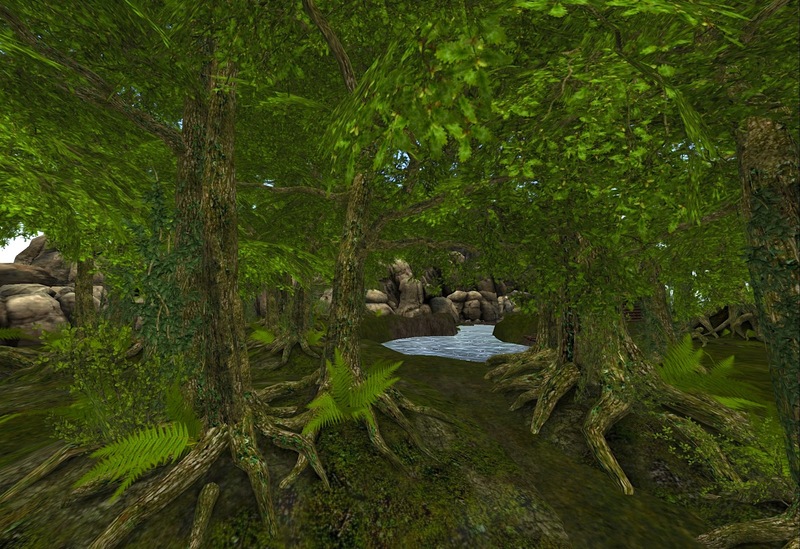 There are people playing as Vampires, Lycans, Hybrids, Humans and Warriors all around other members of Second Life society as they go about their everyday metaverse lives. This RP game has not only been on the grid since 2008 but has doubled it’s membership and is an ever evolving dynamic MMORPG experience. When Bloodlines began in 2008 it was exclusively Vampire only RP [The Thirst]. It is brought to us by a group that was new in game development the time, Liquid Designs. 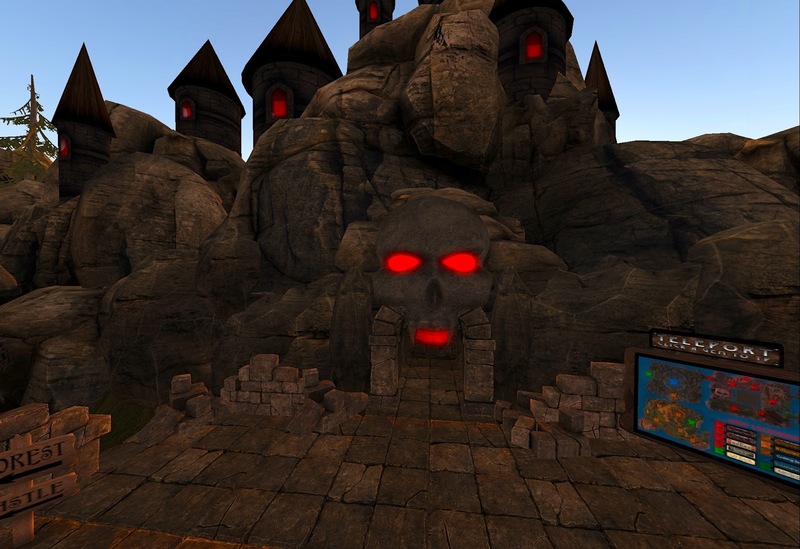 During the year prior to the release of Bloodlines, Liquid Designs had been making and selling items on Second Life Marketplace. The most popular items they designed were their vampire accessories. It was a natural progression for them to investigate and to design RP in this genre. In a 2009 interview with Wagner James Au, the CEO of Liquid Designs, Mars.Bracken, told him “that the move was because his group sensed a need for goals, structure, and consequences of a RP game to be joined with their products. He also said it would be an interesting social experiment. Their group has learned and improved their product through observation of the emergent behavior of the players”. Liquid Designs has been very observant. The Lycan component [The Rage] was released about a year after the initial Vampire release. Then in 2010 The Human HUD was released, then most recently Bloodlines War HUD. A player can also participate as a “Hybrid” by using both The Thirst and The Rage HUDs. Liquid Designs maintains a dynamic website with statistics that may literally change at any time. The top of the main page displays membership in each group, then lists several accomplishments by player and by family. There are also Gods, Demigods, Royalty, Bloodline and Blood Wealth on display. This RP has evolved well beyond the original The Thirst. Seersha Heart: I noticed that Blood Dolls are the greatest population. What does your team think about that? Mars Bracken: It’s an interesting development. Since the Vampires and Lycans need victims in order to sustain themselves, a healthy population of Humans or Blood Dolls seems to be a good thing to have. However, it has definitely prompted us to work on more options for the RP; we initially didn’t anticipate such a large Human population, and had originally focused on tools for making the Vampire and Lycan roles possible. It’s been fun to see the game population dynamics change over the years. Seersha Heart: Has the level [membership] of participation hit a ceiling? Are new players joining the game? Mars Bracken: The population is always in flux, but generally those who bow out of the community are replaced by new players interested to join. We’ve had a rash recently of people who originally played in 2009 coming back to participate in the community again, and we still haven’t quite figured out what that’s about. We are having more and larger events now than ever before, so that might have something to do with it. Seersha Heart: In 2009, you remarked on the emergent behavior of soul importance becoming prominent. What emerging behaviors has your team experienced since 2009? Mars Bracken: Other than the growth of the Human / Blood Doll population, we’ve definitely seen a shift of priorities. Initially the game was all about getting the most souls or bites, but once we introduced Achievements, the activity in that sector of the game quickly overwhelmed the rest. Admittedly souls and bites are included in some of the achievements, but people definitely seem excited to collect things. In general, with Gacha and Rare items becoming so popular, I’d say that a collector mentality has blossomed in Second Life in general. Seersha Heart: You have said that the clan structure has become very complex. Will you share with me what you mean by complex clans? Mars Bracken: When we first started the game, there was just Vampires, so clans were homogeneous. Then we created Lycans, then Hybrids, and finally Humans. As each population exploded and then found its equilibrium, the composition of clans changed. We’ve also added Roles which can be assigned, so in addition families becoming less homogeneous and more complex in terms of RP dynamics, they’ve also gotten more intricate in their hierarchies. Seersha Heart: What would you love our readers to know about Bloodlines? Do you feel Hunger has presented a serious competition? Mars Bracken: We’re excited about some new releases coming up, but I can’t talk too much about those. I can say that we’re almost done updating our 5 RP sims, and we’re aiming to have a lot more community events there. Also our weekly parties have gotten kind of massive, partly due to the great DJs and our amazing theme artist AnnaMargeaux, and partly because we’re doing Rare item giveaways now. 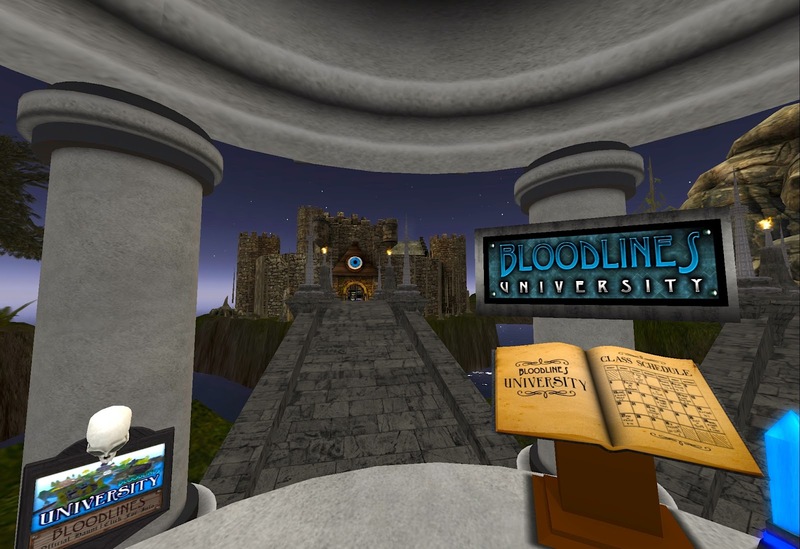 And we've got a Bloodlines University sim where people can come and take classes and learn about the nuances of the game. All of this of course can be found in notices on our blog at http://blog.slbloodlines.com. Seersha Heart: Thank you for answering my questions and congratulations on the success of Bloodlines. Population statistics from the 2009 interview were at approximately 69,000 players with an estimate of 23,000 doing day to day RP. At the eight year mark there are slightly more than 157,000 players [Vampires 33K, Lycans 6K, Humans 102K and Hybrids 17K] assuming the same relative relationship that would be an estimated 52,000 doing day to day RP. Liquid Designs has every right to be excited as their RP continues to evolve and be not only an aspect of Second Life but a force of Second Life nature.